Each year tens of thousands of students will, after years of hard work and enormous amounts of money, earn their PhD. And each year only a small percentage of them will land a job that justifies and rewards their investment. For every comfortably tenured professor or well-paid former academic, there are countless underpaid and overworked adjuncts, and many more who simply give up in frustration. 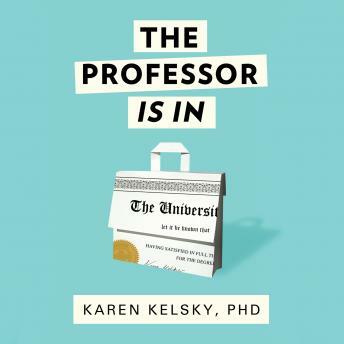 Karen Kelsky has made it her mission to help job seekers join the select few who get the most out of their PhD. As a former tenured professor and department head who oversaw numerous academic job searches, she knows from experience exactly what gets an academic applicant a job. Now, for the first time ever, Karen has poured all her best advice into a single handy guide that addresses the most important issues facing any PhD, including writing a foolproof grant application, cultivating references and crafting the perfect CV, acing the job talk and campus interview, and making the leap to nonacademic work when the time is right.